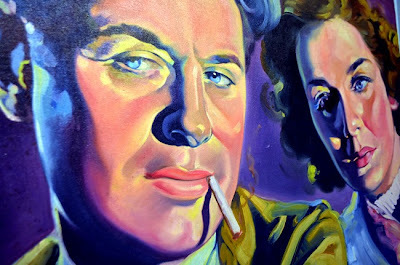 Danielle over at the Road to Tara Museum told me about the "Reflections of Hollywood's Golden Era—Movies Connecting the Past and Future" exhibition at Arts Clayton Gallery. Sounds interesting, right? The exhibition is brilliant! It's a private collection of hand-painted movie posters, from the 1920s through the 1940s, that were painted and displayed at the Loew's Grand Theatre, where Gone With the Wind premiered on December 15, 1939. 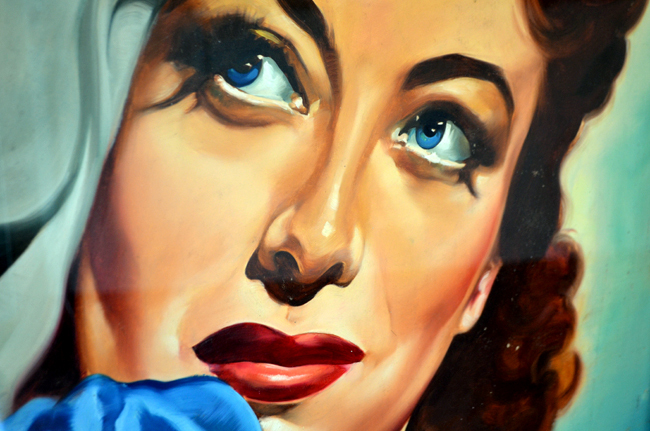 The above poster features Joan Crawford, Hollywood legend who made more than 70 films. The first film I saw featuring Joan was Mildred Pierce (1945)—it was showing at a series titled "Great Female Screen Legends" in the late 80s at the Jimmy Carter Presidential Library—for which she won an Oscar. The Loew's Grand has a long and distinguished history, from its originally being an opera house to its bricks after demolition being used to build Houston's Restaurant on Peachtree Street in Buckhead. This poster features Merle Oberon and Melvyn Douglas in That Uncertain Feeling, 1941. I really like this particular poster for its being obvious that it's a painting...see the unfinished parts? 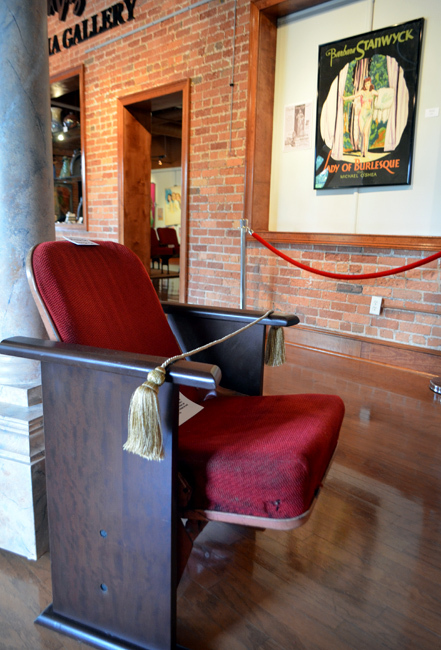 Greeting visitors entering the exhibition is this "single seat" from the Loew's Grand Theatre. This seat was unique in that it could slide from the bottom so that the seat occupant could make room for latecomers without having to get up. In the background is Barbara Stanwyck movie poster. 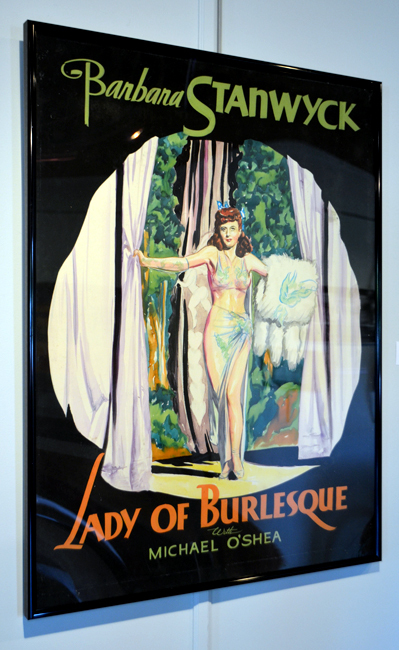 Barbara Stanwyck had a prolific acting career, which included the film Lady of Burlesque, the subject of this movie poster. I remember watching her on television in The Big Valley when I was a kid. She had quite the presence. Metro-Goldwyn-Mayer was a Loew's-owned studio, thus many MGM films had their Atlanta premiere at the Loew's Grand Theatre. 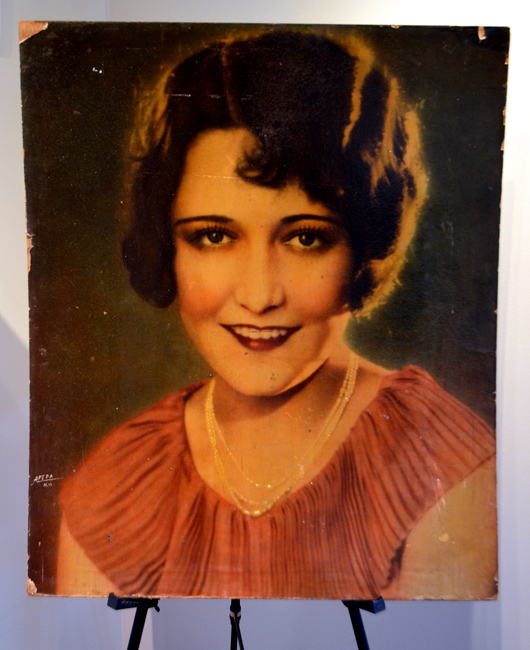 This poster of Renée Adorée, star of The Big Parade (1925), is a prime example of the rarity of this collection. Very little is known of Adoree's early life—very little. And during this era of movie-going, films were changed out weekly and rarely re-ran. Can you imagine a world of no reruns? During the period of time that this poster collection comes from, the Loew's Grand Theatre employed two artists who painted the frequently changed movie posters. 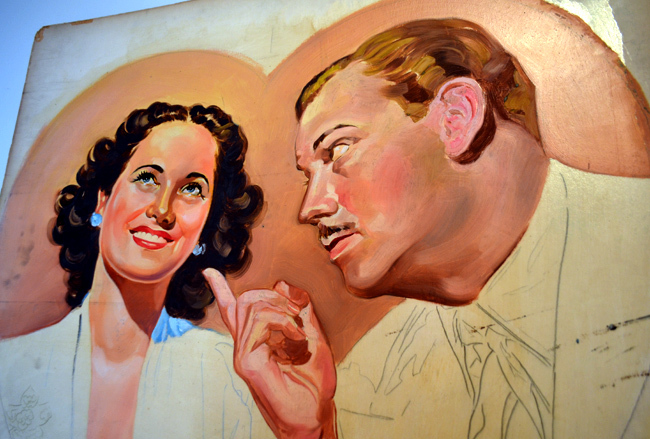 Sid Smith and Charles Reese Collier were those painters and when you see these posters live, you'll know how incredible their work truly was...you can see the brushstrokes, the colors come alive...they beg you to buy a ticket to see the film on the big screen! 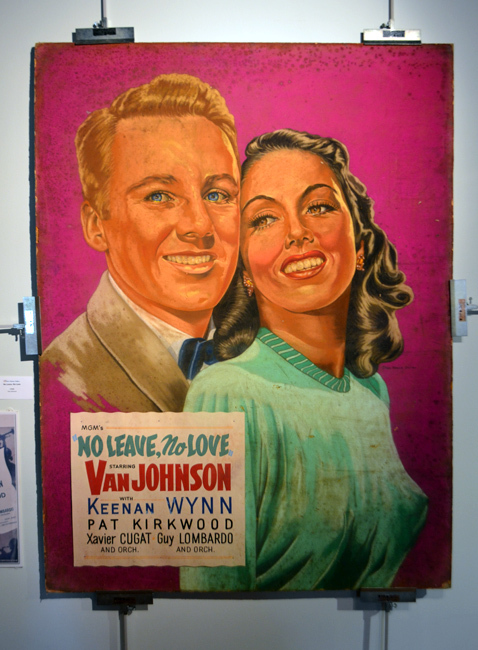 Many of the posters feature not only a two-dimensional painting of the film's actors, some of them include three-dimensional elements, as well. 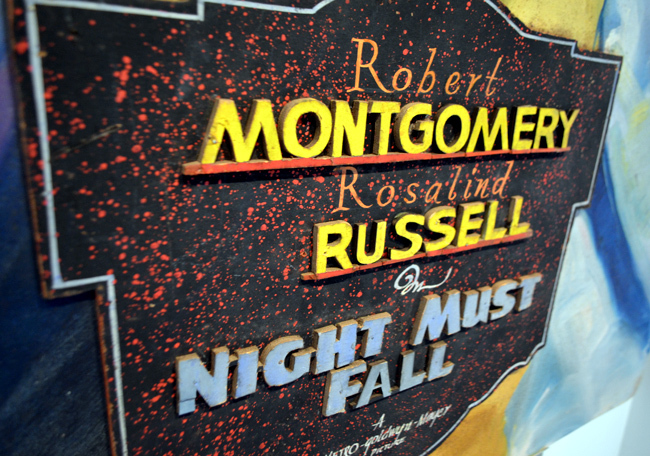 This poster features Robert Montgomery and Rosalind Russell. Having seen Auntie Mame—the Rosalind Russell version—many times, I absolutely adore her! 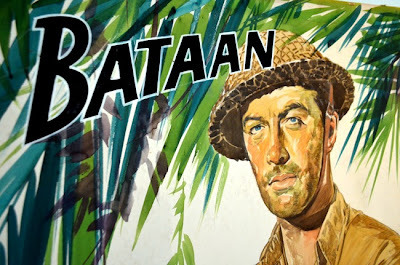 This 1943 film's poster features Bataan starring Robert Taylor. Now, imagine seeing this film in the 1940s AND owning the original hand-painted poster today. That's just the case. Noted movie memorabilia collector Herb Bridges as a teenager worked as an usher at the Loew's Grand Theatre. How cool is that?! You'll have the opportunity to meet Mr. Bridges at the Gallery on Saturday, September 7. 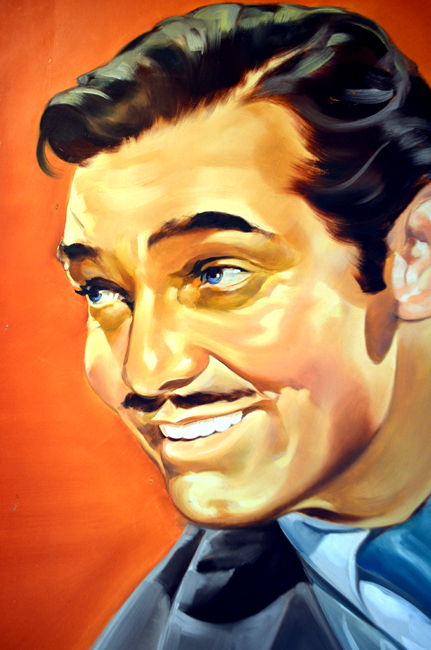 I doubt many of us can say we saw the first run of Clark Gable in the 1941 Honky Tonk, let alone be able to remember the hand-painted movie poster. Remember I told you that back in this time, movies changed out weekly? Well, so did the posters. And the artists would often discard the previous week's poster or re-purpose it for a new one. So, calling the collection "rare" is beyond accurate. Head over to the wanderlust ATLANTA Facebook Page for a few more photos and then get yourself to Arts Clayton Gallery and see these marvelous posters in person! Go, Go, Go See "Gogo: Nature Transformed"